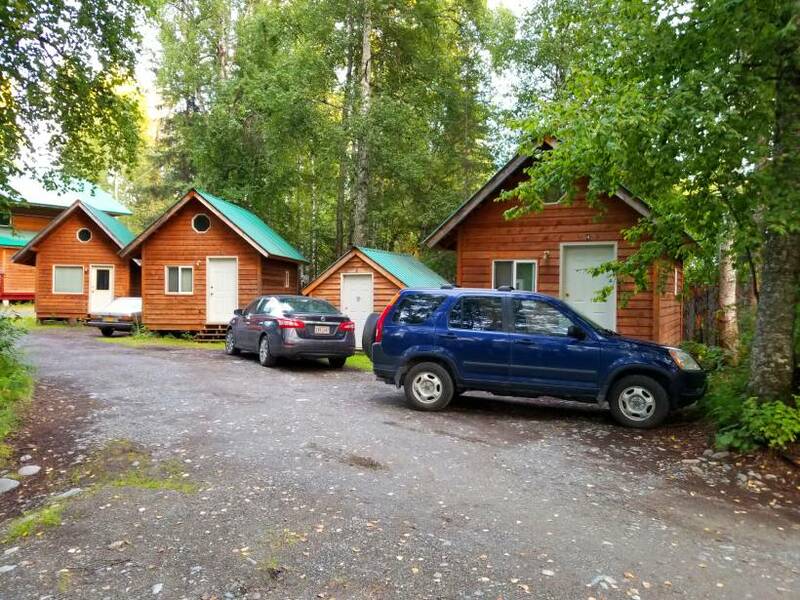 The Talkeetna Hideaway owns and operates 14 cabins as accommodations for those looking for a seasonal housing option in Talkeetna. Previous residents have included pilots and employees of our local flight services, restaurant staff, zipline and fishing guides. Residents have access to a fully outfitted communal kitchen with modern appliances and a bathhouse with separate facilities for men and women. 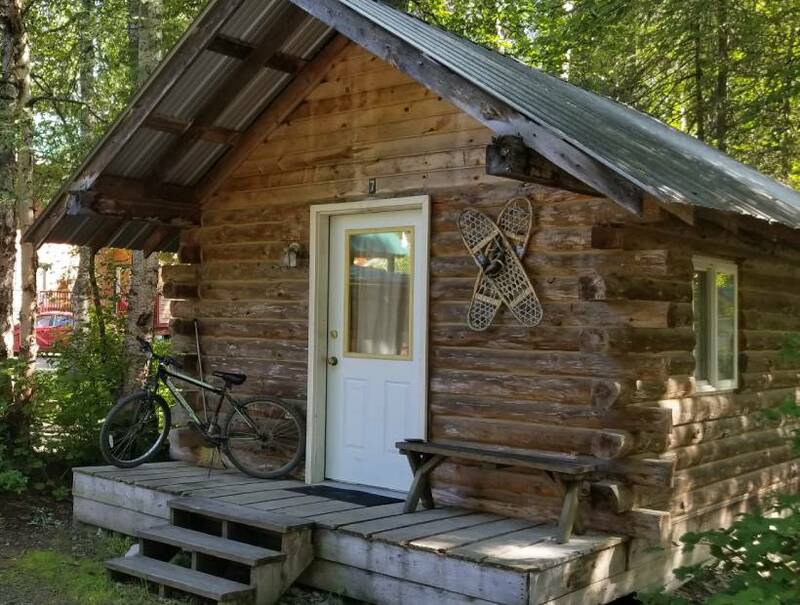 The Cabins are a 5-minute walk to the Talkeetna airport and a 10-minute walk to Talkeetna’s Main St./Downtown. Rent includes all utilities, high-speed internet, garbage and recycling. Cabin deposits are $300. 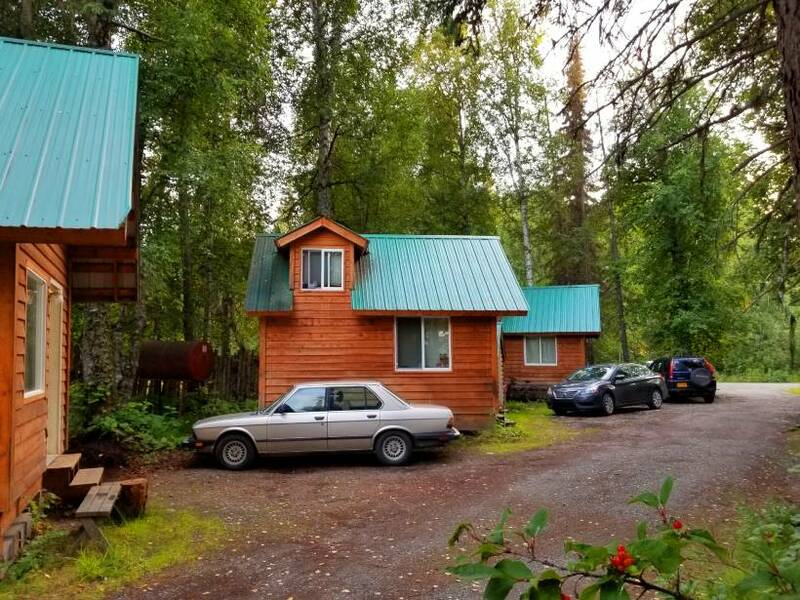 Cabins are available for rent May 1st through October 1st. Tenants must sign a 4-month lease, with the option to extend up to October 1st. 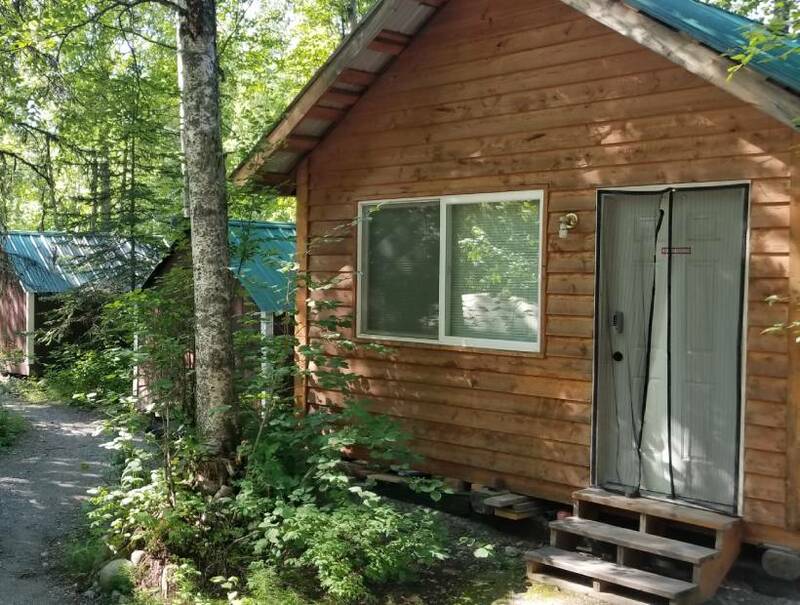 The Coho Cabins have a 12’ x 16’ footprint with an upper loft for sleeping or storage. They have a full-sized bed, twin bed, mini fridge, microwave, small table and chairs, dresser and a heater. Trapper Cabins have an 8’ x 12’ footprint. They have a full-sized bed, small table and chair, dresser and an electric heater for colder nights. There are electrical outlets for powering household electronics. The Snowshow Cabin has a 12’ x 16’ footprint. It has a bunk bed with a full-sized bed below and a twin on top. There is a couch, desk and chair, dresser, microwave, mini fridge and a heater. The Chinook Cabin has a 16’ x 20’ footprint. It has a Queen-sized bed, breakfast nook, small fridge, microwave, couch, coffee table, dresser, shelves and a heater. 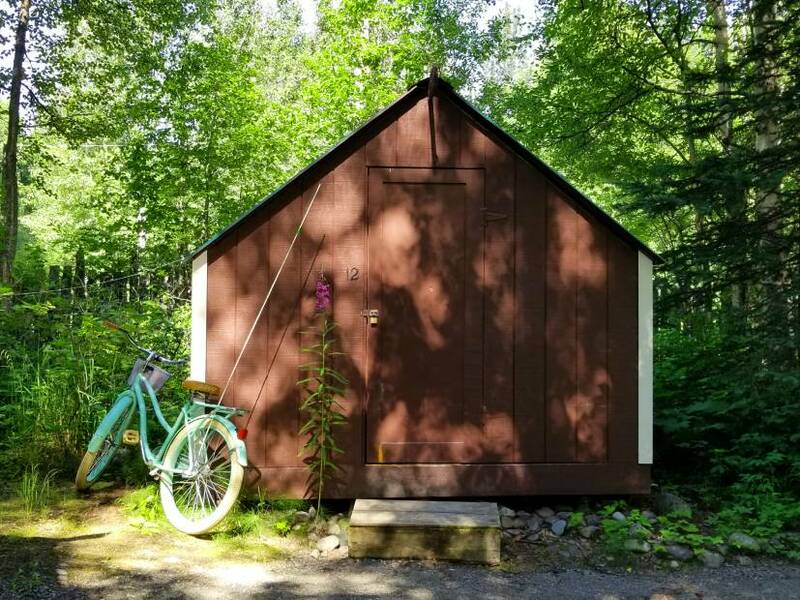 Includes Electric Stove with Oven, Full Sized Freezer, Full Sized Refrigerator, Microwave, Toaster Oven, Coffee Maker, Prep Table, Shelves for Dry Goods Storage, Cookware, Dishes, Utensils and Recycling Center. Separate Facilities for Men and Women. Each has 2 Shower Stalls, 2 Sinks, 2 Toilets, Coin-Operated Washer and Dryer.